Disposing solid waste is a huge problem faced by Mumbai. All the dumping grounds used for the city’s waste are already full. Disposing solid waste is a huge problem faced by Mumbai. All the dumping grounds used for the city’s waste are already full. The civic body therefore, is now focussing on eliminating the problem at the source. While efforts have already brought down the waste generated in the city by around 2,000 tonnes, the new target is to further reduce the waste by another 500-700 tonnes by segregation and bio-composting of waste. This has been made mandatory for all housing societies which produce more than 100 kg of waste every day. Those that don’t have adequate space for such projects would be given space by the corporation. These projects would be developed through the CSR funds from the private companies. However, the efforts are being opposed as they are seen as attempt to give corporation land to companies. Mumbai is the only megapolis of the world which has a national park within its municipal limits. This has its own advantages and disadvantages, but unexpectedly, the park has found a place in the ongoing fued between the BJP and the Shiv Sena. A road that cuts through the park while connecting the eastern and western suburbs of the city is open for use only by officials of water supply department of the municipal corporation. However, corporators from the western suburbs take the road as a shortcut to reach the BMC headquarters faster. When a Shiv Sena corporator was prevented from using the road by guards, the party was furious and accused forest officials of allowing BJP office-bearers to use the road. 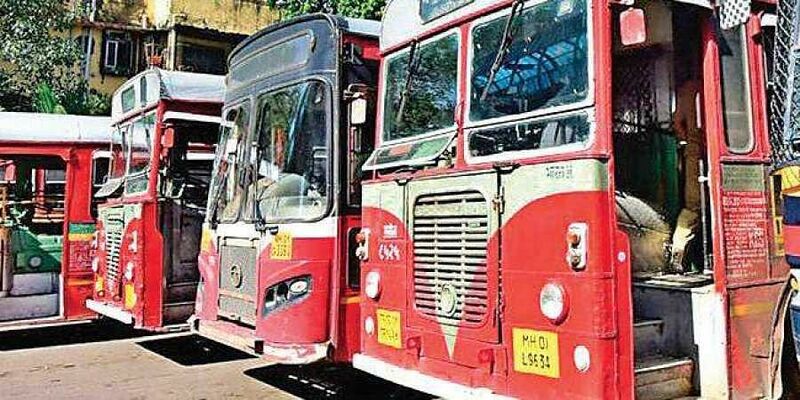 Ever since employees of the BrihanMumbai Electric Supply and Transport (BEST) went on an indefinite strike, speculations about the ‘real’ reason behind it have become a hot topic for discussions on local trains. There are some who firmly believe that the state’s BJP government is simply standing by as the strike affects key institutions related to its ally Shiv Sena. The Sena has been in power in the BrihanMumbai Municipal Corporation (BMC) for over the past 25 years. It had been controlling the BEST committee all these years. The party also holds portfolio for the transport department. However, there is another group that firmly believes the strike is part of a plot to shut down the ailing BEST to acquire several high-profile chunks of land across the city that are serving as depots. Worli sea-face has a causeway that resembles a queen’s necklace in south Mumbai. However, the 2-km long causeway and the promenade along it could soon be gone. As part of an ambitious coastal road project, the 83-year-old road and its promenade may be turned into a 4-km-long road, cycling track, green ways and path ways. However, this is likely to affect citizens who use the promenade for their walks. It would be interesting to see how Uddhav Thackeray, who had inaugurated the coastal road to teach a lesson to the BJP, reacts to the development.